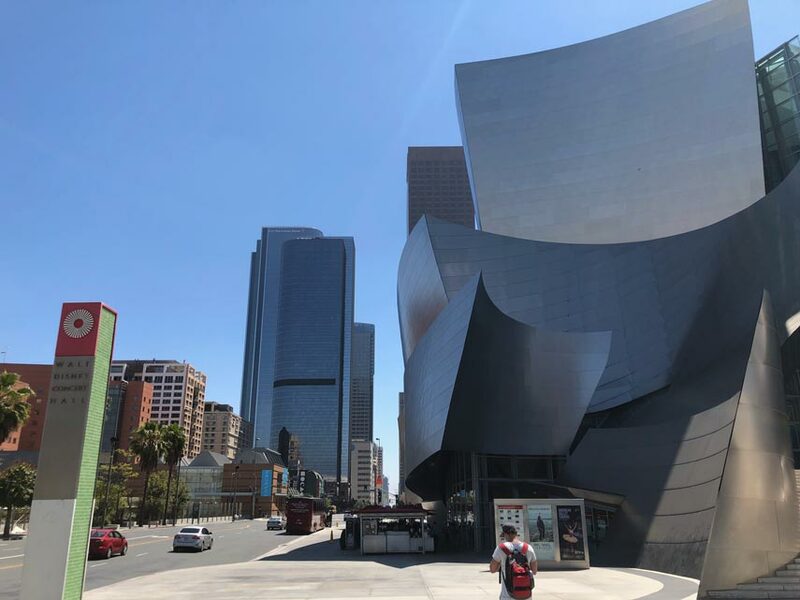 Located in downtown Los Angeles, California at the 111 South Grand Avenue, the Walt Disney Concert Hall is Los Angeles Music Center’s fourth hall. The hall is the design work of Frank Gehry and officially opened its doors on the 24th of October, 2003. It combines an arena seating configuration with a classical shoebox design to result in a unique and magnificent venue. Plans for the construction of the hall were initiated back in 1987 after Walt Disney’s widow, Lilian Disney made a donation of $50 million directed at building a performance venue in the area. 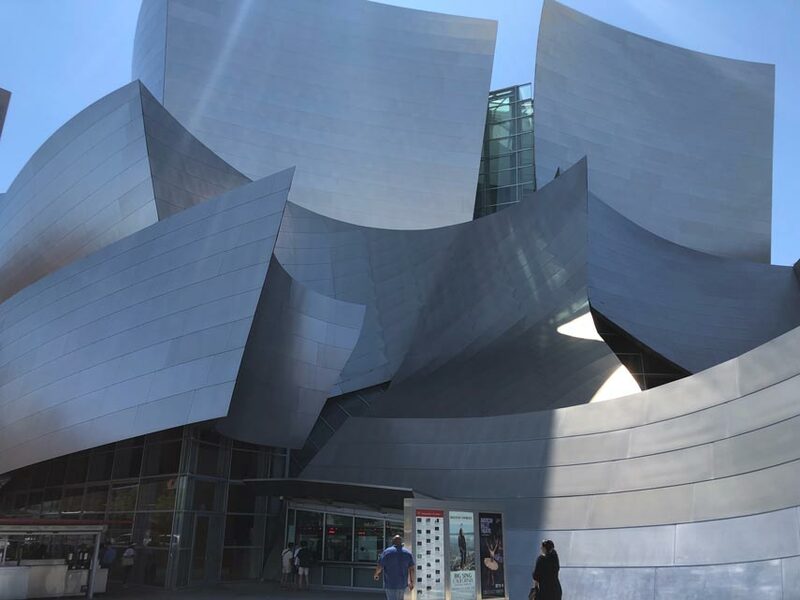 Designer Frank Gehry started working on the designs for the venue. He completed and delivered them in 1991. The following year, construction was commenced for the underground parking garage which was later completed in 1996. Constructions costs for the garage were estimated at $110 million. The amount was paid by the Los Angeles County. The shortage of resources and lack of fundraising led to delays in the construction of the actual hall. Construction stalled from 1994 to ’96 given the fact that the ultimate construction costs had exceeded the initial budget. This required additional funds that were quite challenging to get at the time. In order to enable construction of the hall despite the limited resources, the plans had to be revised to make them cost-friendly. One of the changes that was made to the plan include the replacement of the stone exterior with a much more affordable stainless steel skin. Fundraising to aid in the construction of the hall kicked off with vigor in 1996 under the leadership of Eli Broad and later Richard Riordan. The groundbreaking for the hall was held in December of 1999. Construction was completed in 2003 where the total cost of the project was estimated at $274 million. Some of the costs were shouldered by private donations such as the Walt Disney Company’s $25 million and the Disney’s family $84.5. After the completion of the hall in 2003, the Philharmonics pushed forward its grand opening to give time to the orchestra and Master Chorale to get used to the new hall. Following the successful performance at the time of the halls opening to the public, it was widely agreed that it was worth the wait. Besides being home of the Los Angeles Master Chorale and the Los Angeles Philharmonic Orchestra the hall hosts quite a number of events. While the hall mostly hosts live events and concerts, it is also available for wedding events as well as meetings. Birthday concerts have also been occasionally held at the venue. The halls bold exterior makes it one of the most unique halls not only in the region but in the country at large. The sail like forms coupled with the conspicuous colors of the exterior make it a magnificent architectural structure. Its interior is designed to comfortably accommodate 2,273 seats during a performance. The interior is complete with ceiling panels, acoustical walls and various other magnificent features. Quite a number of parking options are available to visitors. For instance, there is an underground parking space underneath the concert hall that charges $9. Valet parking is also available at Hope. The venue is located right between First Street and Second Street. It is also next on Grand Avenue and Hope Street.